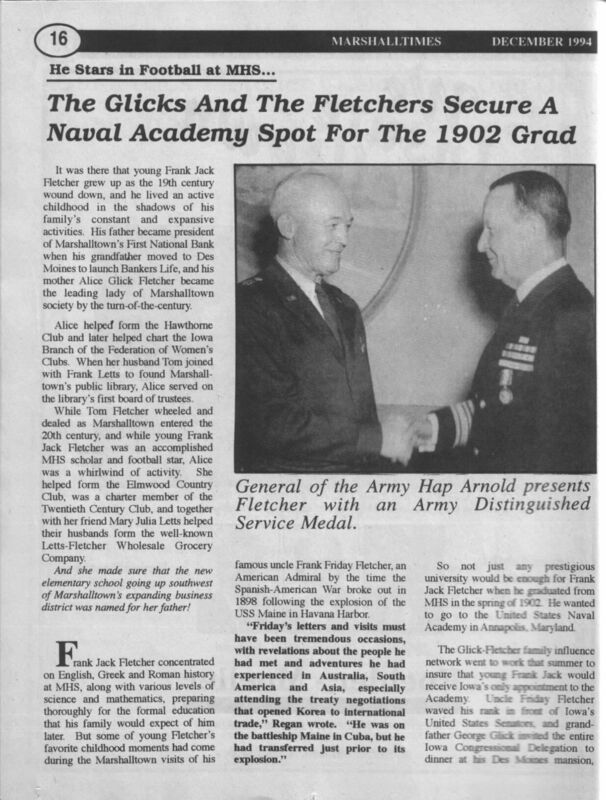 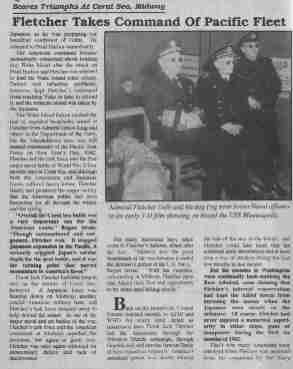 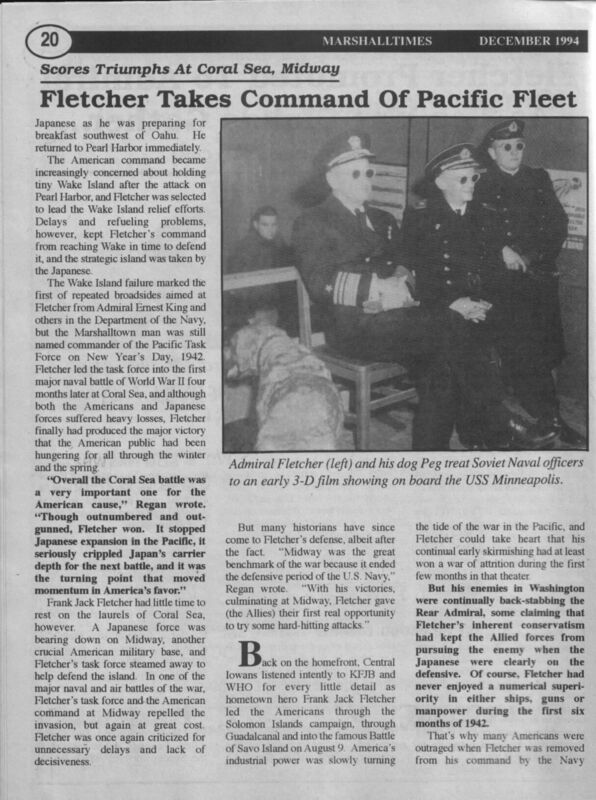 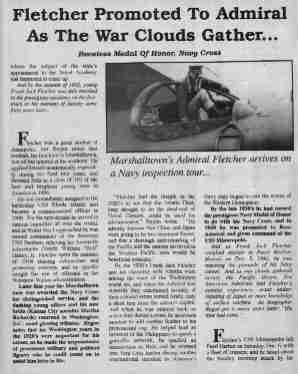 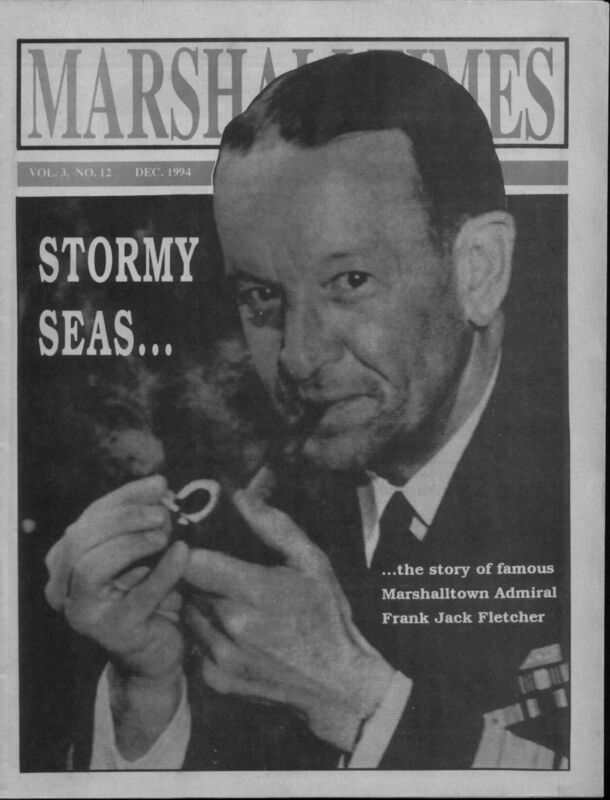 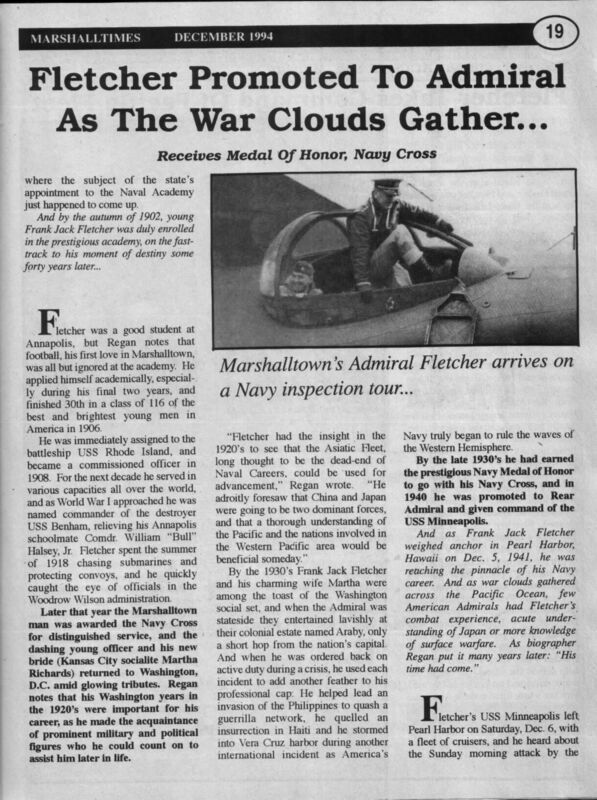 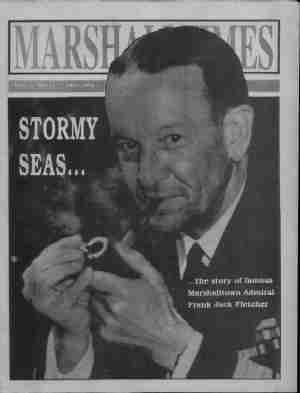 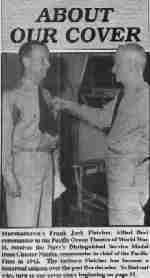 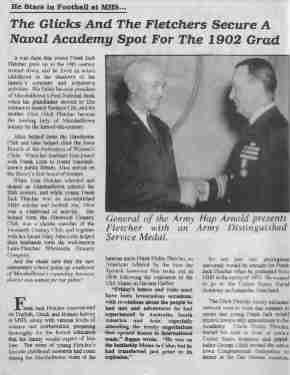 Marshalltown's Frank Jack Fletcher, Allied fleet commander in the Pacific Ocean Theatre of World War II, receives the Navv's Distinguished Service Medal from Chester Nimitz, commander in chief of the Pacific Fleet in 1942. 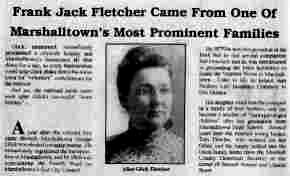 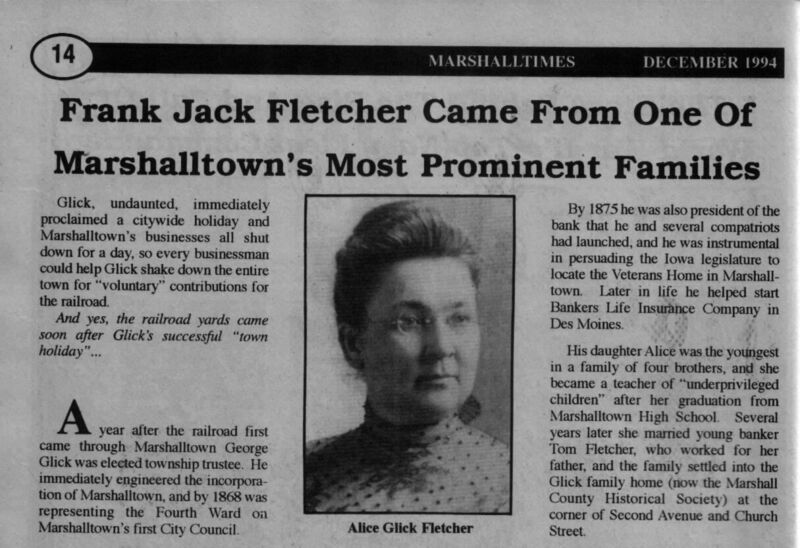 The taciturn Fletcher has become a historical enigma over the past five decades. 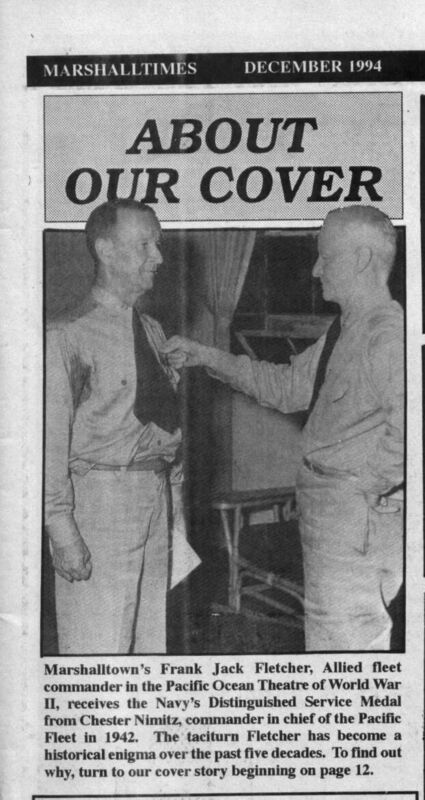 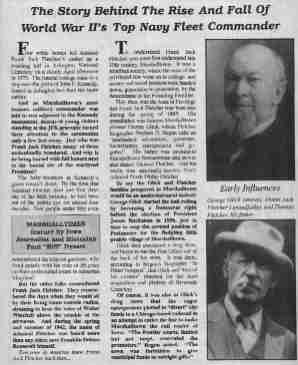 To find out why, turn to our cover story begining on page 12. 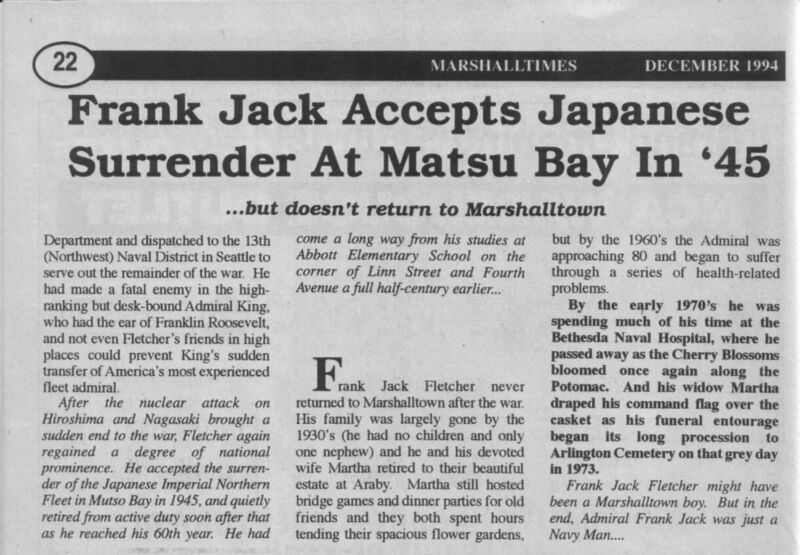 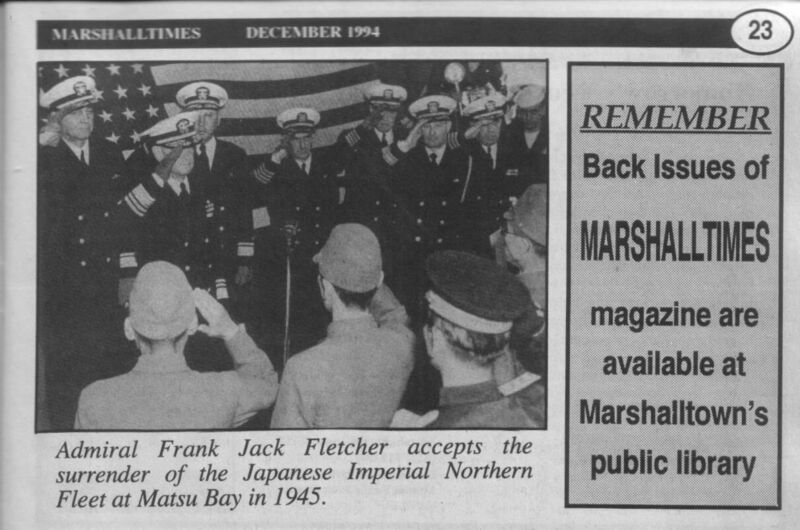 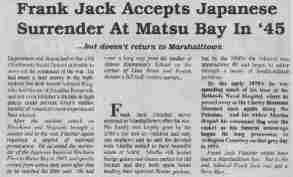 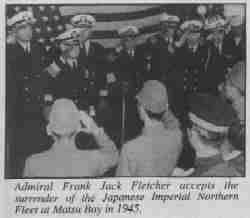 Admiral Frank Jack Fletcher accepts the surrender of the Japanese Imperial Northern Fleet at Mutsu Bay in 1945.